Preview: Complete list of the best gifts for dancers that show your support for his/her love of dance! 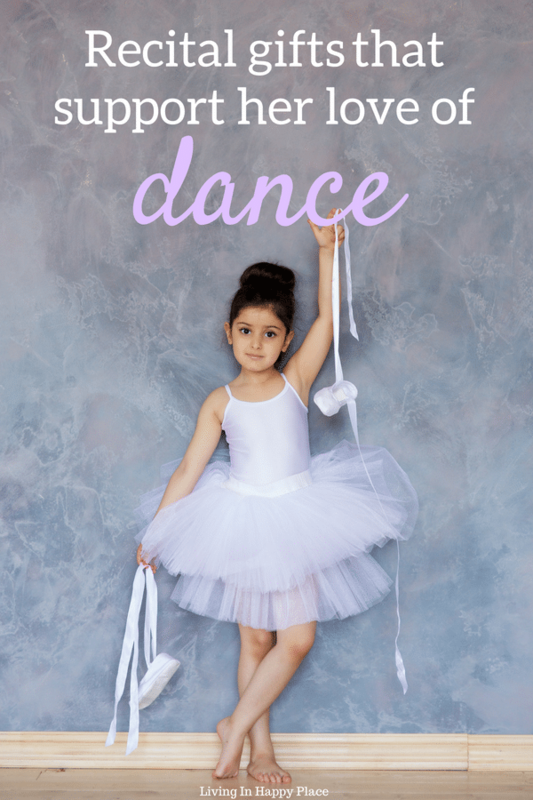 Whether it’s recital season, competition time, Christmas, or birthdays, just about everyone has a dancer on their list. Do you want to get them the perfect special gift but don’t know enough about what dancers need or use to even begin picking out a gift? Help is here! For many of these girls, dancing is not just what they DO- it’s who they are. Supporting their dream and their talent means a lot to them. For you to seek out and get them the equipment they need to support their dreams- well, that is the true gift. I went straight to the source to find some ideas for the best gifts for dancers. My source, Miss Brittany, is a veteran competitive dancer and student at a performing arts high school. She has been dancing since she was three years old and dancing competitively since she was five. She has won many awards (including Rising Star for her studio), danced at half-time for the Harlem Globetrotters, and teaches her craft to aspiring dancers. With 14 years of experience under her belt, she knows what dancers need and what they want. She helped me compile an awesome list of the best gifts for dancers. Whether your favorite dancer is just starting out or is now Broadway-bound, these gift ideas are useful, thoughtful, and help support their love of dance. What is a good gift idea for a dancer? Foot Care– Dancers must take excellent care of their feet at all times. Any gifts that help reach that goal are always welcome. For example: Blister block, band-aids, Neosporin, or lambswool (commonly used for ballet pointe to protect the dancer’s feet) are super important to a dancer. Gift Cards to shoe stores- Stores such as Dicks and Foot Locker often sell shoes for Hip Hop class. Useful if the dancer on your list is enrolled in a hip-hop class (maybe ask first). Leotards and tights –If you don’t know sizes, a gift certificates to any dancewear store would work. Hair Care Items– Dancers need stock in hair care items such as Bobby pins and hairspray. Make-up or make-up gift cards- Dancers go through lots of make-up during competitions and recitals. Many dance studios require certain brands/colors so the cost adds up. Gift certificates are a nice gift to help cover some of that cost. Call the studio and ask to pay towards tuition- Competitive dance gets pretty expensive. Often studios will allow you to make a payment (even anonymously if you prefer) towards a student’s account. This is a gift that would be greatly appreciated by nearly any dance student (or dance parent)!!! Costume Rack– Once the dancers get all of their necessities to the venue, they need to keep everything organized and wrinkle-free. These inexpensive and portable racks help keep costumes neatly in order. Some smaller items assembled into a gift basket would make a lovely gift on recital day! Throw in some foot care items, hair spray, even refillable water bottles and you have a thoughtful and useful gift to present to your favorite dancer to show your support of their dream and their special talent! Sometimes the best gifts for dancers is to show them your support.